This new 2018 Honda Ruckus Motorcycle for sale has 0 miles. The color is . It is offered for sale by Rainbow Honda and located in Rogers, AR. The listing # is 73848. Wonder what all the ruckus is about when it comes to the Honda Ruckus? There are probably some folks (like those born into royalty) that will never get it. But for the rest of us, the Ruckus is a breath of fresh aira rugged, minimalist scooter that you don't have to polish like grandma's silver, and that doesn't need a staff of servants to keep it running. Best of all, you don't need a trust fund to afford one, either. It all starts with the Ruckus' tough, tubular frame. Minimal bodywork equals minimal hassles. Then there's the Ruckus' dependable 49cc Honda engine. Plenty of power, and you just push a button to get it started. 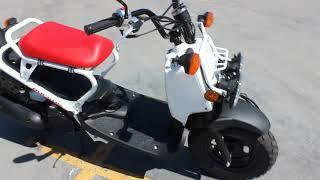 There's no hassle with shifting, either; the Ruckus uses a Honda V-matic automatic transmission. Brush your teeth, grab your daypack or messenger bag, and you're on your waywhile your friends are still waiting for the bus or some rideshare driver. Maybe it's nice to live on an estate out in the English countryside. But for real-world transportation, we'll take a Honda Ruckus every time. Forget about a bunch of PR propaganda: the Ruckus is what it is, with nothing to hidewhat a breath of fresh air! Practically no bodywork, rugged steel tube frame, tough rubber floorboard. And built to survive in today's world. The average price of a 2018 Motorcycle for sale is $9254.31. This model is priced $6555.31 less. The average price of a 2018 Honda Motorcycle for sale is $8723.58. This model is priced $6024.58 less. There are 408 Honda Motorcycles for sale within 150 miles of Rogers, AR. If you looked at the average 2017 Honda Motorcycle for sale it would cost $4299.23 more. If you looked at the average 2019 Honda Motorcycle for sale it would cost $3569.25 more. 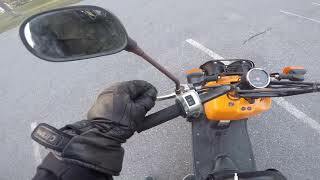 The average price of a 2018 Honda Ruckus Motorcycle for sale is $2536.04. This model is priced $162.96 more. 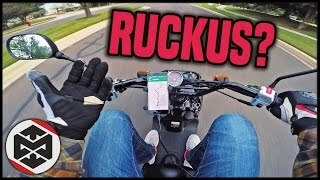 The average 2018 Honda Ruckus Motorcycle for sale has 31 miles. This model has 31 less miles. 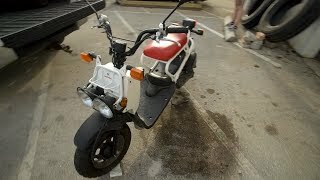 There are 12 Honda Ruckus Motorcycles for sale within 150 miles of Rogers, AR. If you looked at the average 2017 Honda Ruckus Motorcycle for sale it would cost $312.14 less. 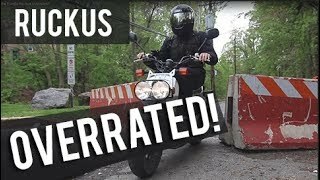 If you looked at the average 2019 Honda Ruckus Motorcycle for sale it would cost $50.00 more. 3. I BOUGHT A BONE STOCK RUCKUS! 6. 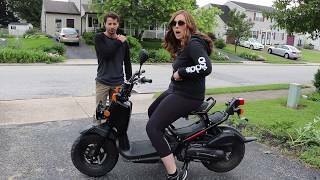 I Bought A Honda Ruckus !! 8. 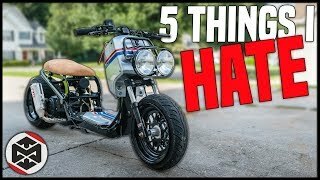 Is the Honda Ruckus overrated? 9. 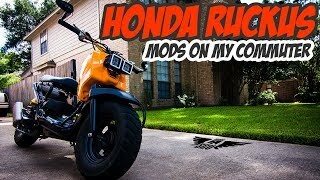 Honda Ruckus MODS for an everyday commuter ride. 10. 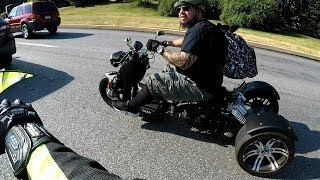 Is this Ruckus Trike thing Big enough for a Man? ?